Photographed at a small farm south of Nairobi, Kenya. 1 October 2010. 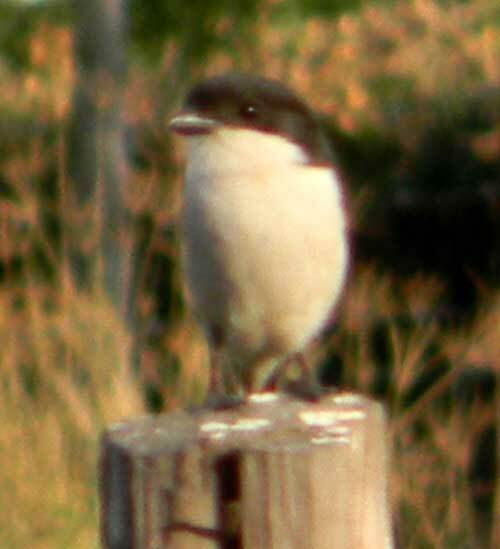 The common fiscal is a frequent bird seen on telephone wires and fence posts throughout the mid elevations of Kenya. From these perches the bird swoops down to the ground after grasshoppers, crickets and sometimes small lizards or rodents. Thus what first appears to be a sweet and gentle song bird is in reality an efficient predator. Farmers should see these birds as friends because much of their prey are damaging to field crops. The juvenile bird has brown plumage on the back with light barring. The chest and belly are off white. 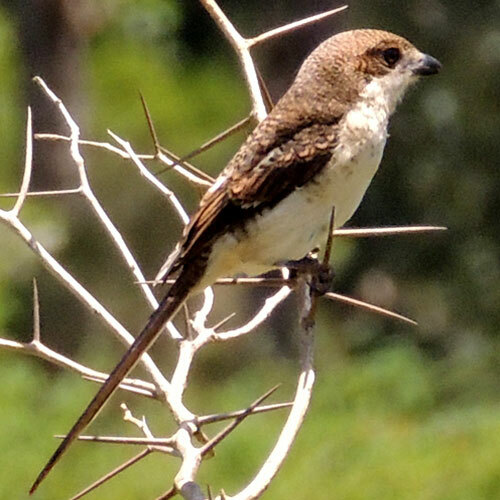 The bird below was observed in Kitale, Kenya in April 2013.